Ashley is an occupational therapist who lives in Hickory with her husband of 3 years, Jonathan. She graduated from Appalachian State University in 2007 with a Bachelors degree in psychology. She graduated from Lenoir-Rhyne University in 2011 with a Masters Degree in Occupational Therapy. 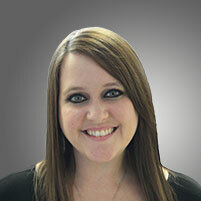 She has been a practicing therapist for 7 years now with a focus on outpatient pediatrics, children birth to 21. She has a strong background working with children with autism, applied behavioral analysis, sensory integration therapy, and behavioral management.